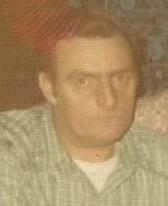 With broken hearts we announce the passing of our Dad, Bernard Alexander Thomas, age 83. He passed away at home in Port Morien next to the ocean where he always wanted to be on January 30, 2018. Born and raised in Port Morien, he was the son of the late James and Martha (Curry) Thomas. He was the last surviving child in his family. He started fishing with his father and brothers at an early age. He loved to hunt and had a great respect for animals. Bernard loved all of his family unconditionally. His favorite pastime was taking long walks in the woods and walking along the sand shore. Da was a very spiritual man. He loved music and playing the spoons. Bernard is survived by his loving companion, Judy; son, Charles (Kim); daughters, Theresa, Gail, Debbie and Marlene (John); grandchildren, Jeanette, Darrell, Ashley, Stephen, Krista, Justin, Amanda, Devin, Ryan, Amanda and Alexander. Also surviving are nine great-grandchildren and many nieces and nephews. He was predeceased by his wife, Camilla (Martin) Thomas; son, Darrell; sisters, Margaret, Eileen, Theresa; brothers, Charles, John, Joseph, Vincent, Michael, Henry, Leo and sons-in-law, Dougie and Cyril. As per his wishes there will be no visitation, cremation has taken place under the direction of V.J. McGillivray Funeral Home, 16 Reserve St., Glace Bay. Burial will be at St. Mary’s Cemetery in Black Brook at a later date. Donations in memory of Bernard may be made to the Glace Bay Food Bank or to a charity of one’s choice. On line condolences to the family can be expressed at: www.vjmcgillivray.ca.